I’ve got a new release here from Hoboken New Jersey’s MayOrWest and well, things are looking up. The last time I reviewed this band, I had a bit of a beef with the lengthy tracks. Much to my preference, “We, Reborn” does, for the most pat, deliver on shorter track length. I also made some assumptions about sound and influence. I’m happy to report that the band is starting to find their ground. 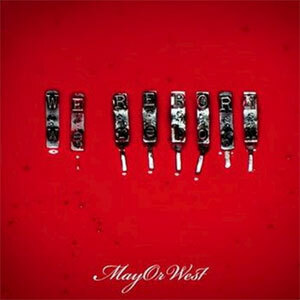 Whereas in the last review, I likened them to a mix of AFI and Queensryche, this time around I’m confident that MayOrWest is really paving new ground with their sonic dimensions. So, um, yeah, advice partially taken. Positive leanings aside, I still find the band a bit operatic. As well There is a busy quality surrounding a lot of the tracks. It really strikes me as an audio version of MTV fast camera. It’s as though everything is a cut scene and because there is so much going on in the background, it makes it really hard to focus. I won’t belabor my minimalist critique. Either you get it or you don’t, but here’s the take away; MayOrWest: definitely better over time; Still going in a direction that leads them more towards radio than any other direction. If that is what they are aiming for though, then, by all accounts, this is a successful release.